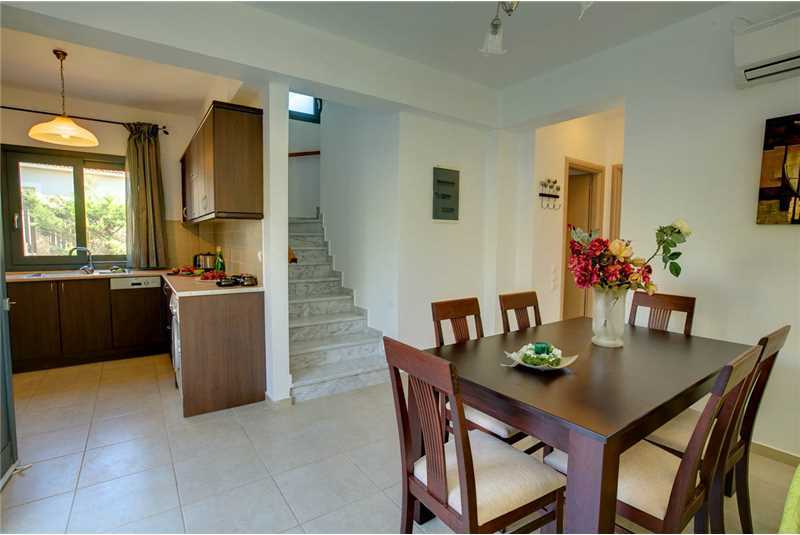 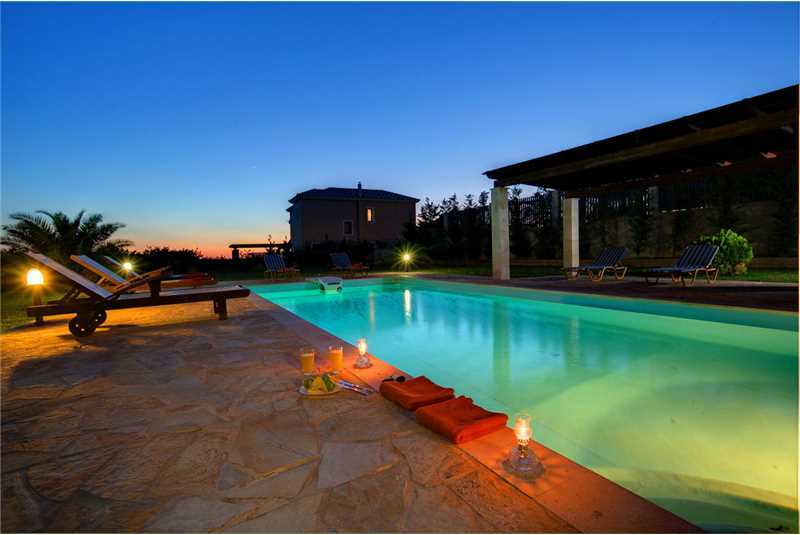 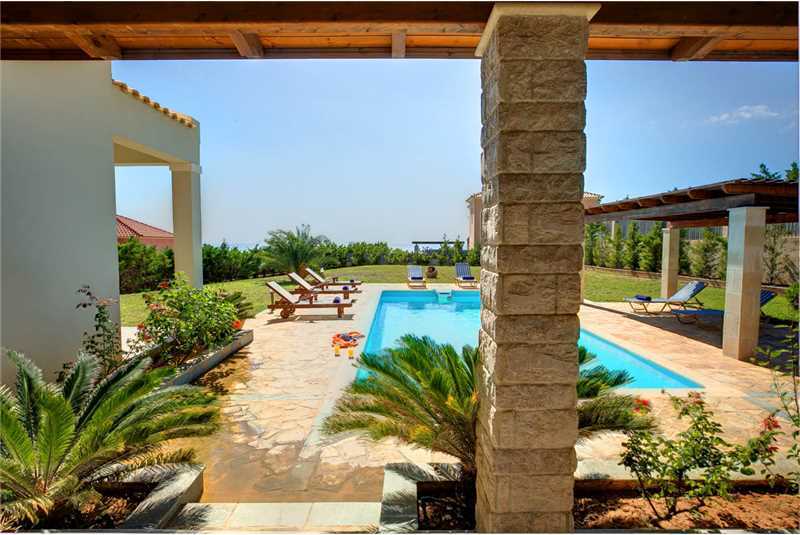 Villa Uranos is located in the peaceful countryside village of Spartia, nestling in to the flank of Mount Ainos and commanding breathtaking views of the Ionian Sea and the island of Zante. 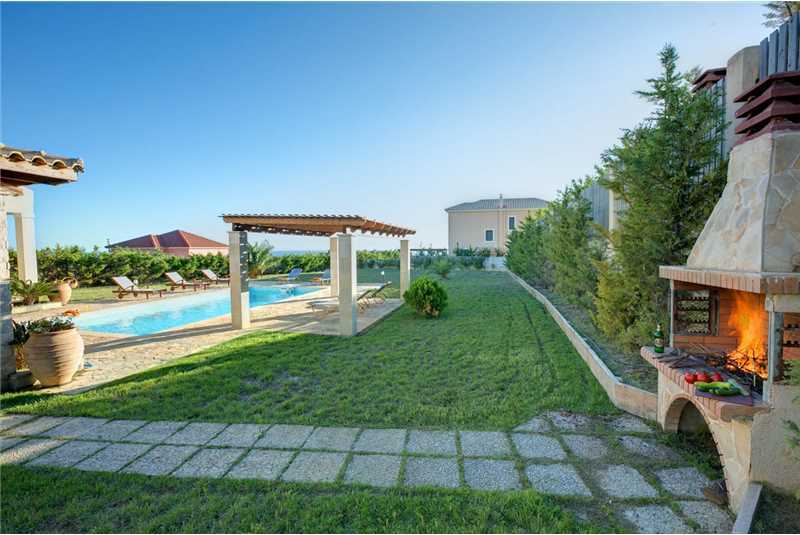 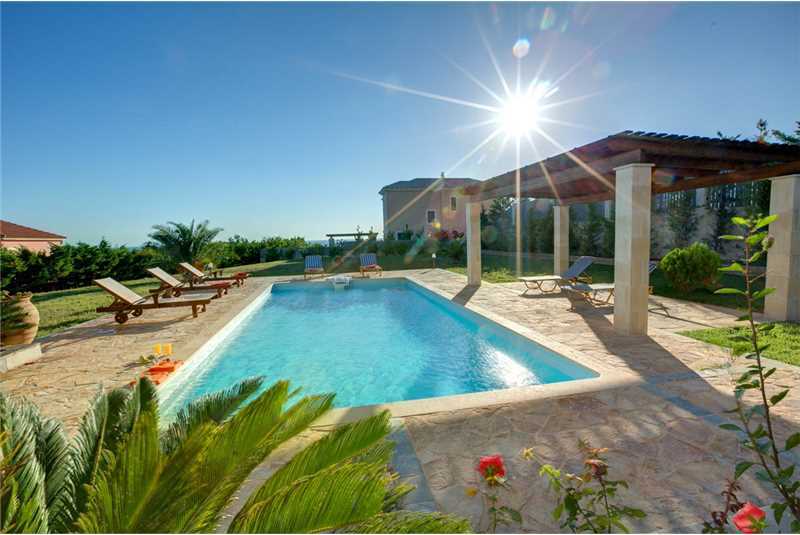 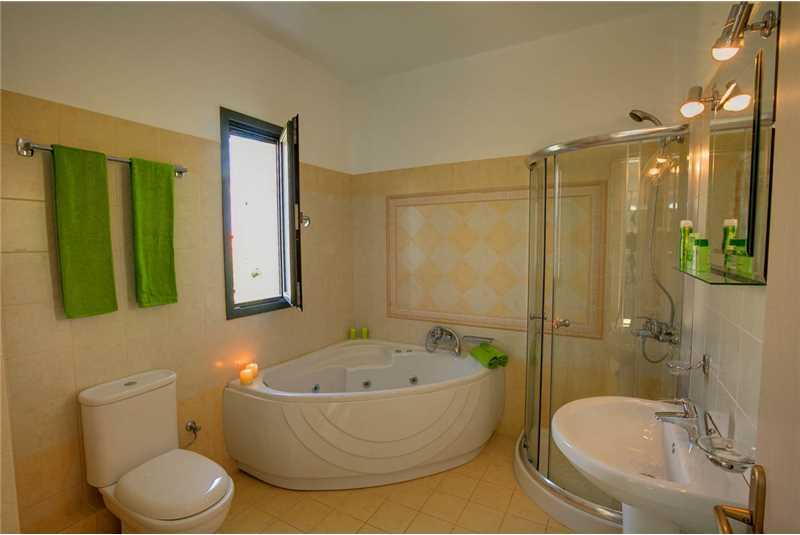 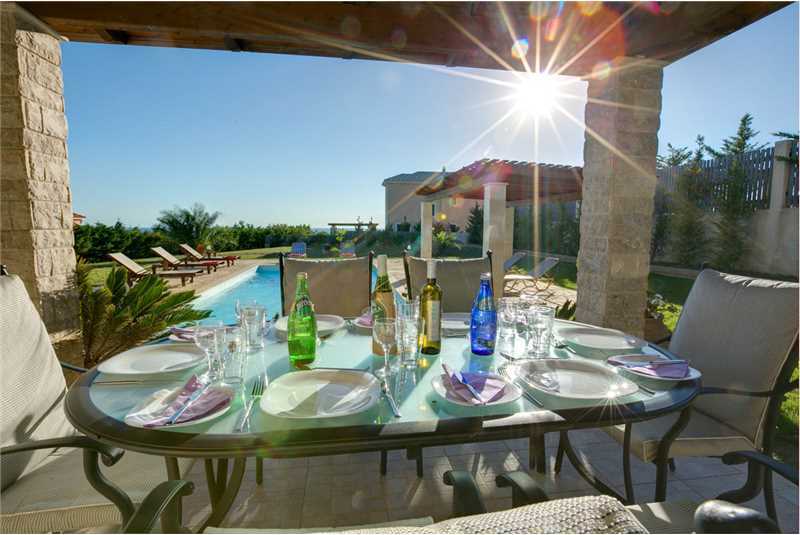 Villa Uranos is surrounded by large well kept gardens, an inviting swimming pool and magnificent views. 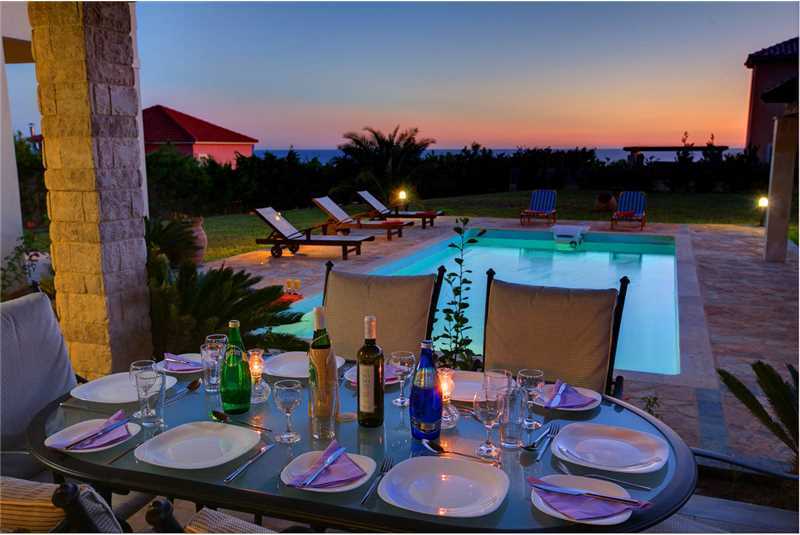 Modern in design and built over two floors, with many verandas,patios and pergolas with breath-taking views to the Ionian Sea – from Dias Island, Zakynthos and the endless horizon, this exclusive villa guarantees an unforgettable stay. 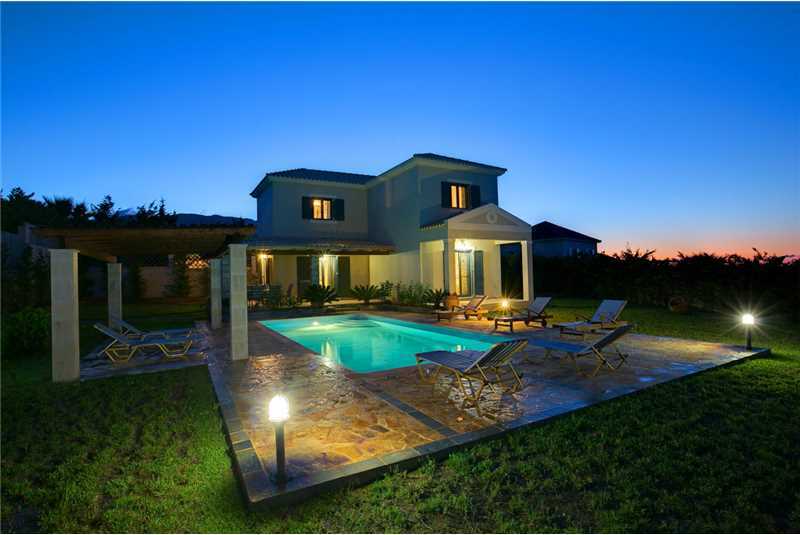 Elegant, modern in decoration and architecture successfully combine minimalist contemporary elements with traditional Kefalonian details. 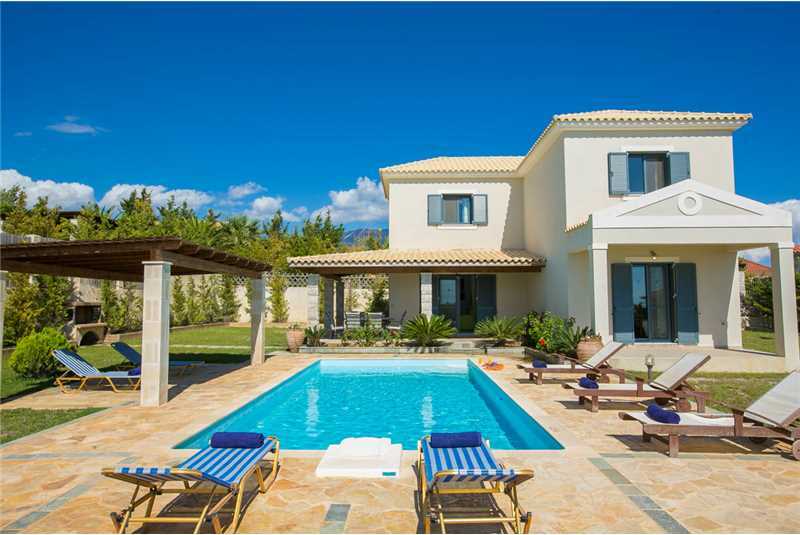 The villa has its own private entrance and parking area, private 10 x 5 pool, sun terraces, lounger’s and parasols and stands in its own stunning grounds. 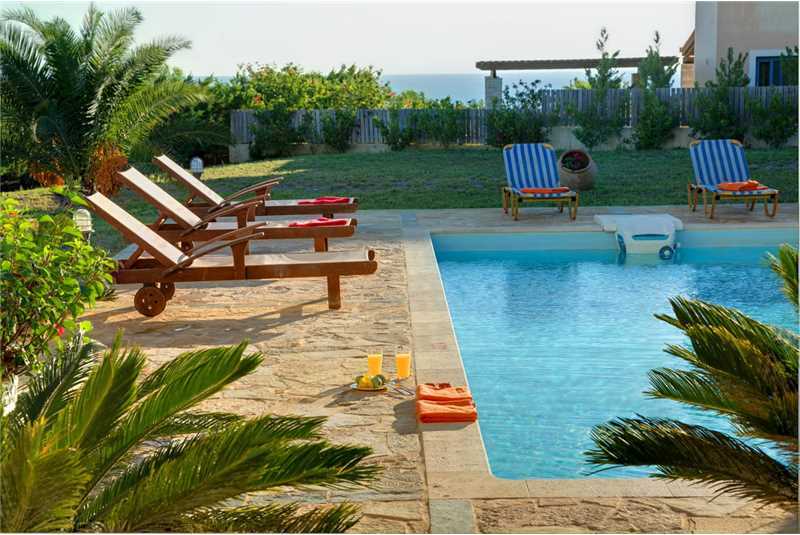 The little village of Spartia is a five minute drive or thirty minute walk away where there are a few shops, tavernas and a beautiful sandy beach a short distance from the village. 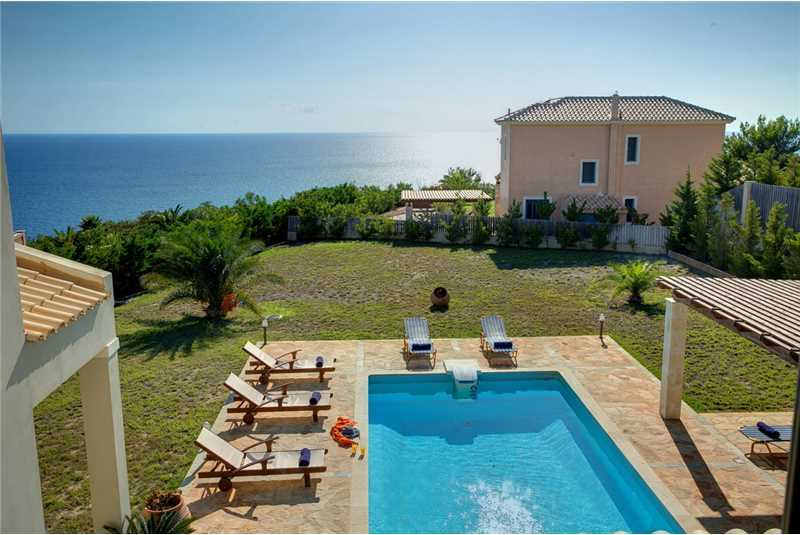 The south coast resorts of Lourdas and Trapezaki are nearby and worth visiting whilst Argostoli, the island's capital, is approximately twenty minutes drive away. 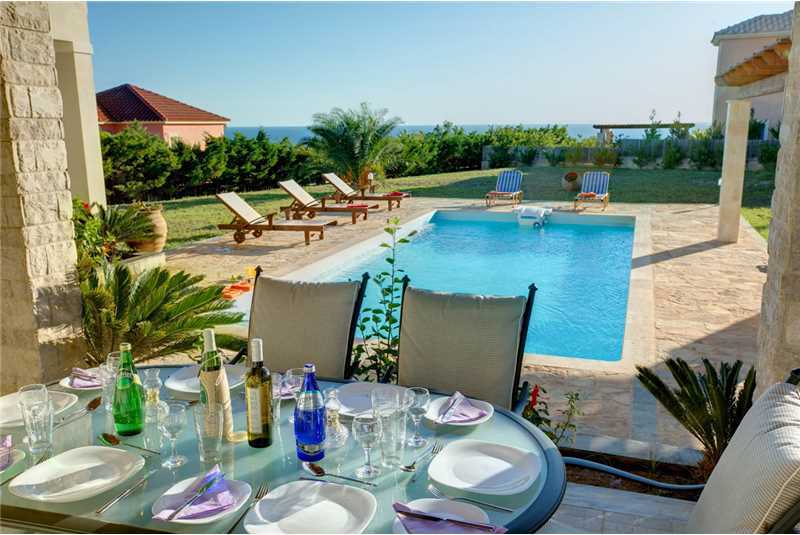 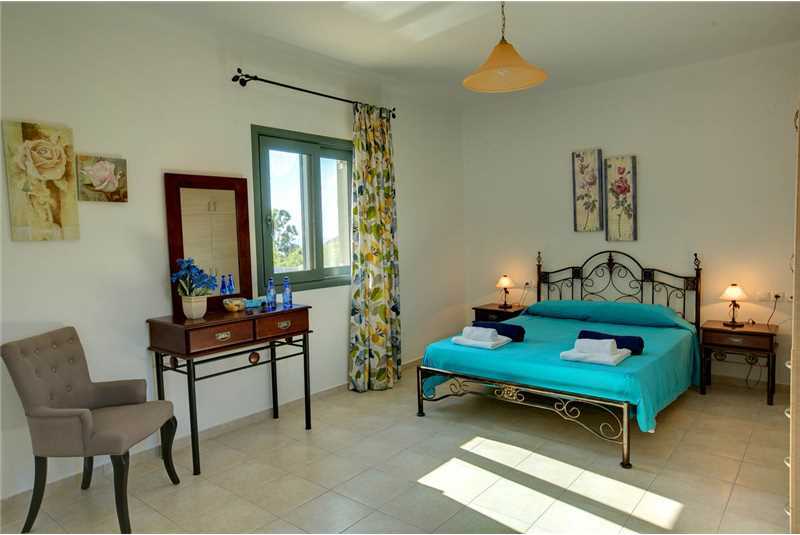 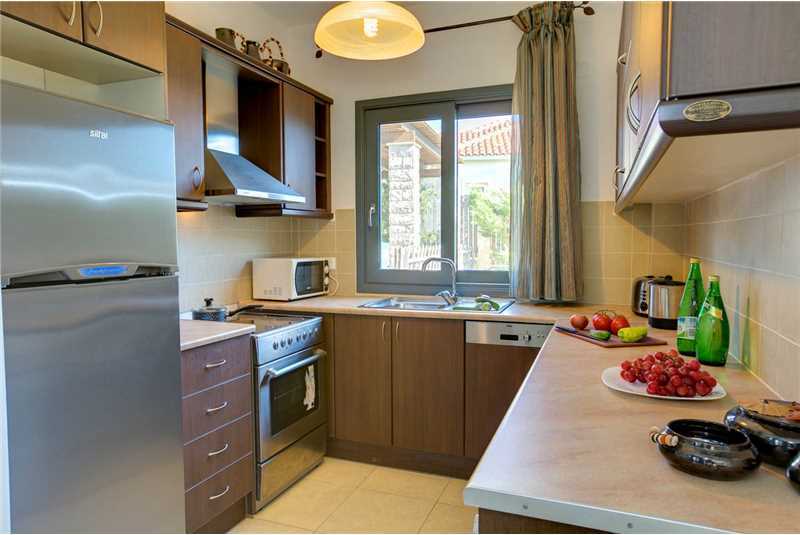 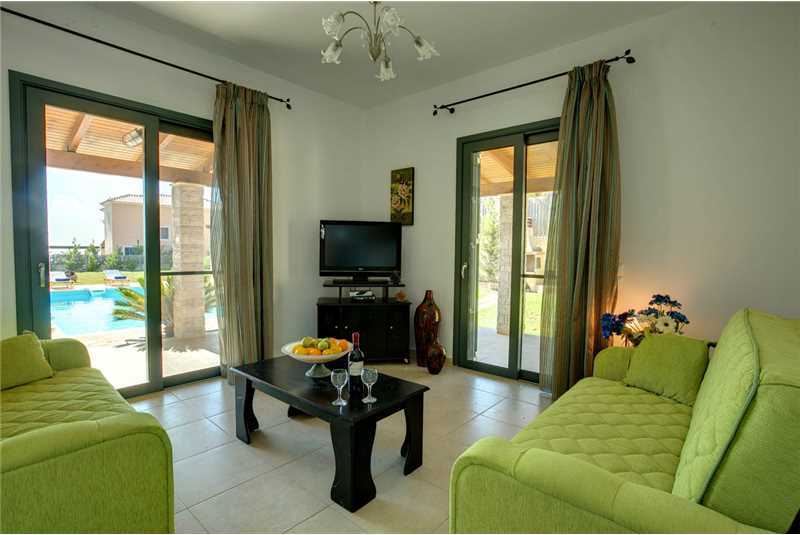 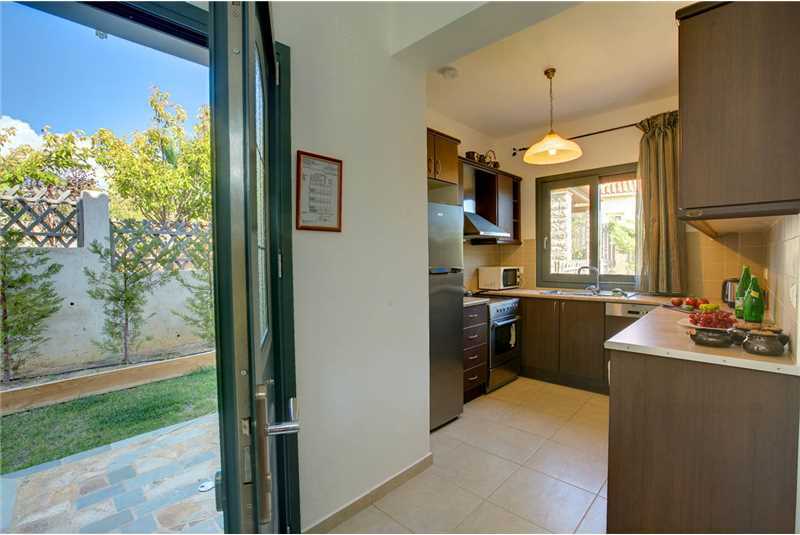 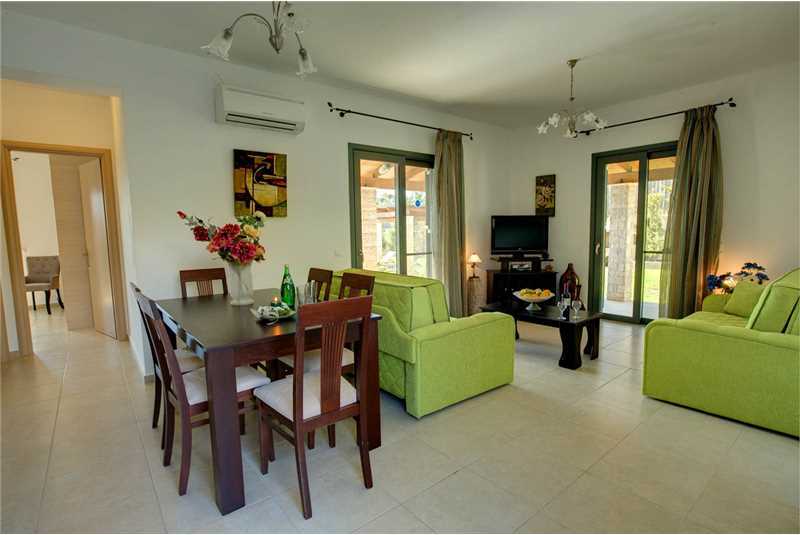 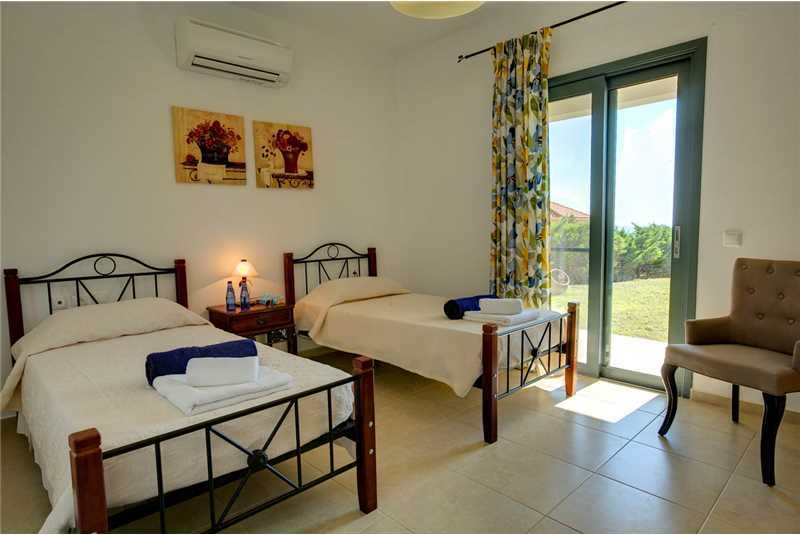 Half a mile from the villas is Liakas Village Apartments, a small group of holiday houses with a pool, bar and tennis court which our villa guests are welcome to use.